The vassal tower-stronghold of Angerja was probably built in the 14th century. The rectangular construction was made of limestone, the walls were two meters thick and it was surrounded by a moat. Some parts of the walls remain to this day and a moat is still visible. 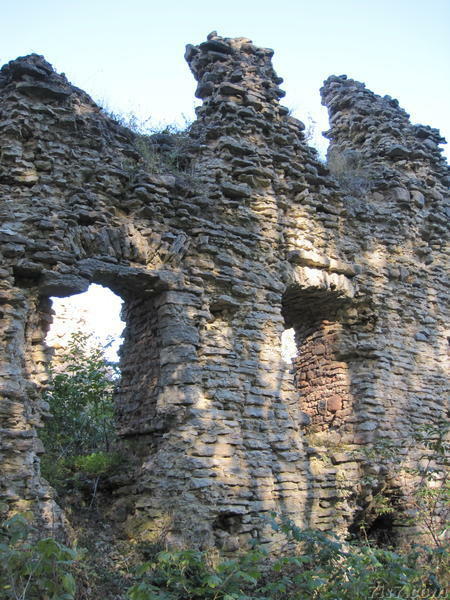 It is thought that the stronghold was destroyed during the Livonian war. 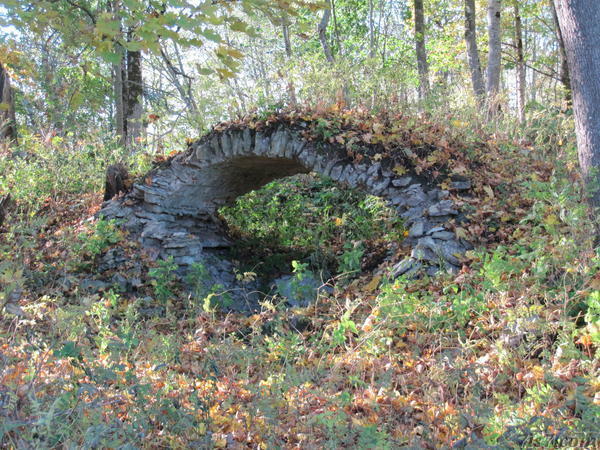 There is also what appears to be a small bridge nearby in the forest. Tower-strongholds were built by vassals to protect themselves, mostly against peasant uprisings, especially after the failed St. George's Night uprising (Estonian: Jüriöö ületõus) of Estonian peasants in 1343. Two vassal strongholds in Estonia have remained intact. They are the tower-strongholds in Vao and Kiiu. Location: 59°10'31"N 24°51'21"E on: Google Maps, OpenStreetMap, Maa Amet.